You know, the stuff that you can’t get into without a chainsaw and a box of bandages? First off, I have to apologize for being a little behind. 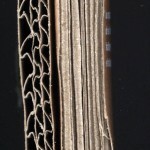 And, sorry, I won’t pander for traffic by reprinting the picture I used the LAST time I got a little behind in my blog. OK, I’ll do it.. I have no shame. You have to promise to read the story, though. My new Surly Long Haul Trucker arrived Friday and will be picked up Monday, so I’ve spent a couple of days stripping all the stuff off my old bike for the transition. I covered my taillights last week. Here’s what the front of the old bike looks like. 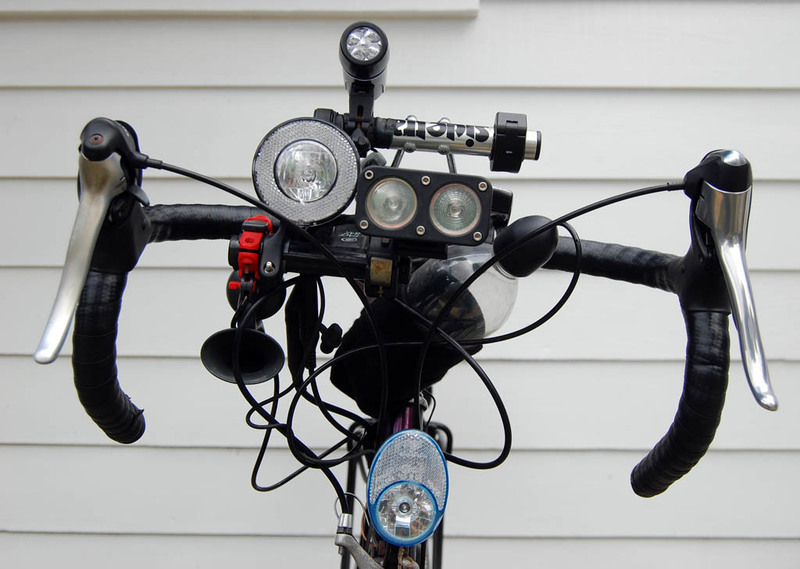 From left to right: AirZound horn (red object), Busch&Müller Lumotec secondary generator light, Viewpoint Flare 5 LED Headlight (top), NiteRider Pro-12E dual headlights, air bottle for AirZound horn, DLumotec Oval Senso Plus (bottom on fork). I’ll provide more info when I put them on the new bike. Remember when I had problems getting my pedals off my bike and broke my Pedro? I decided not to do that again, so I hit out to Sears to buy some hex bits that would fit on my socket wrench. I was happy to find a set for a decent price and happier yet to see that they were packaged in something you could actually attack without it attacking you. The sockets were nestled in a multi-layered cardboard frame that was big enough to discourage shoplifters, but didn’t require a crowbar to open. The merchandise was held in the package by two plastic Nylon ties. I have to confess that I’m not really all that Green. I ride a bike not to save dead dinosaurs, but because I like to. When it’s hot, I like my air cooled. I recycle, but I don’t obsess over it. I WOULD, however, pick a product that was packed this way over blister pack any day of the week.